I went on my first road trip at the tender age of 5. The adventure took us all the way from the undulating greenery of Colorado to the neon lightbulbs of Las Vegas. My parents, aunt, uncle and their shaggy Cairn Terrier Benny all watched in amusement as I documented the journey on my red plastic camera with the diligence of a war correspondent. I’d like to say that a lot has changed now, two decades later. But – for better or worse – that couldn’t be further from the truth. My family still don’t let me anywhere near the steering wheel. My camera is still the first item on my packing list. And my attitude to planning still resembles that of a five-year-old child. I just want to hang out in nature, eat lots of food and not overthink the process. Fine, maybe I’m exaggerating a little bit. Making the most of my travels is very important to me and I don’t like visiting a new destination without a game plan. But the planning process takes me eons. I get so overwhelmed by all the wonderful things I could do that within an hour I’m knee deep in an existential crisis. Which defines me better – a strenuous hike to the top of a towering waterfall or a scenic drive along the sun-drenched coast? 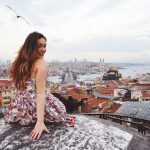 What’s my true travel style? Who am I? Why was I put on this Earth? I know, I know. Again with the exaggeration. But I’m sure many of you can relate. In this day an age analysis paralysis has becomea more widespread ailment than the common cold. 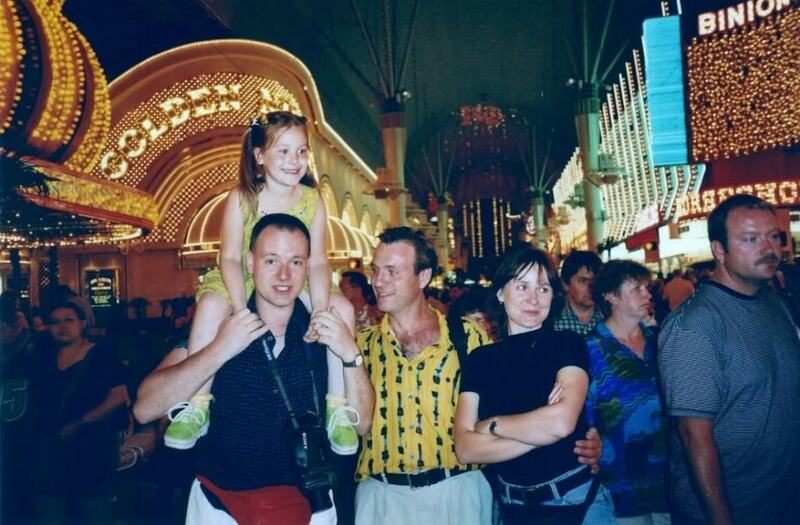 Life of the party in Las Vegas, 1998. All this is my roundabout way of explaining how excited I was when first introduced to the USA Trip Planner. It’s a free (!) tool created by Brand USA – a destination marketing organisation whose aim is to share their country’s beauty with the rest of the world. 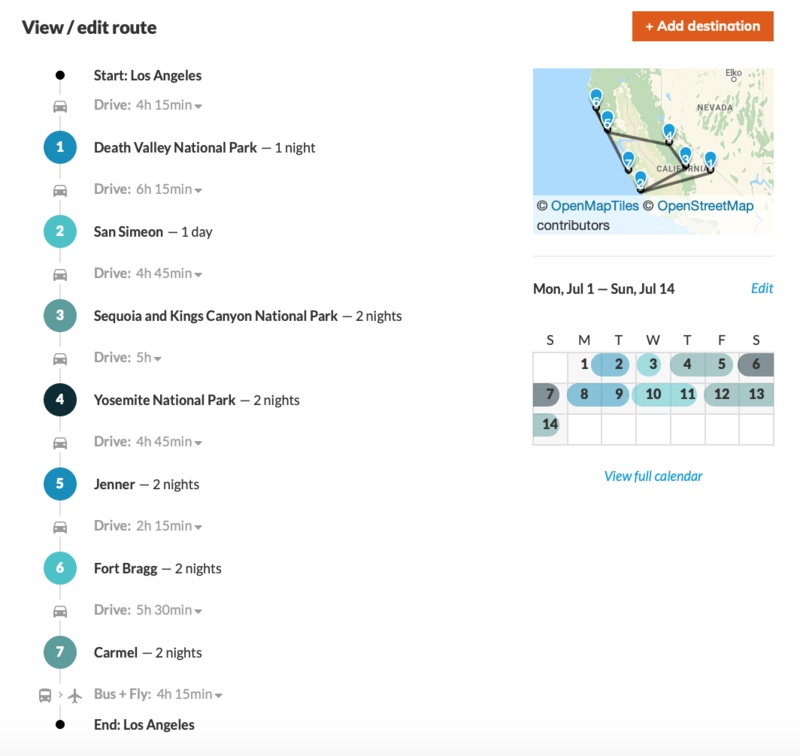 All you need to do is type in your destination, date range and how many people – if any – are coming with you. After that, you have the option of refining your search by choosing your preferred pace and telling the virtual robot a little more about how you like to travel. As you can see, I went with a pretty laidback vibe. I did tick “fast-paced” but that’s more to test what the tool is capable of than an accurate reflection of how I like to travel in reality. It’s all about being present rather than spending your time with your eyes glued to a watch. Alright, moment of truth! When my itinerary first arrived it already seemed pretty exciting. Death Valley, Yosemite – the planner had definitely understood how I like to travel. 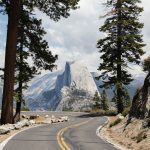 But as a first-time visitor to California I’d probably underestimated how badly I’d want to see some of the world famous, on-the-beaten path destinations. 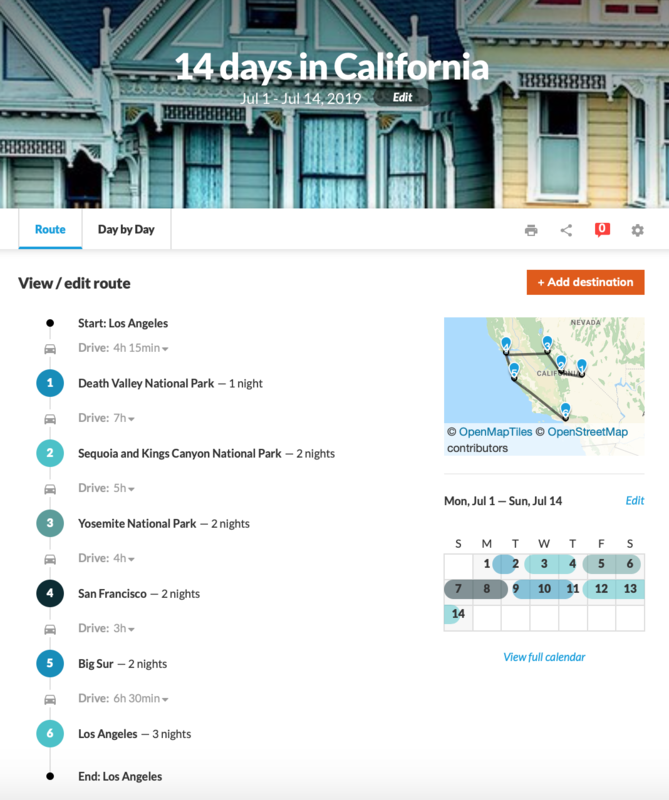 A California road trip without a night in San Francisco? I don’t think so. I got rid of San Simeon, Jenner, Fort Bragg and Carmel and instead added San Francisco, Big Sur and three nights in Los Angeles. Am I being basic? Wait, don’t tell me. Despite me adding more “mainstream” destinations to my agenda, the planner kept its suggestions mountain and beach focused just like I told it to. The website has better listening skills than most people I know, myself included. You can access the full itinerary here but for now here are the highlights. Death Valley, despite its morbid name, is a great place to kick off our epic road trip! It’s known for being the home of Badwater Basin’s salt flats, North America’s lowest point. But it’s also a dark sky reserve with excellent stargazing conditions for all my fellow romantics. 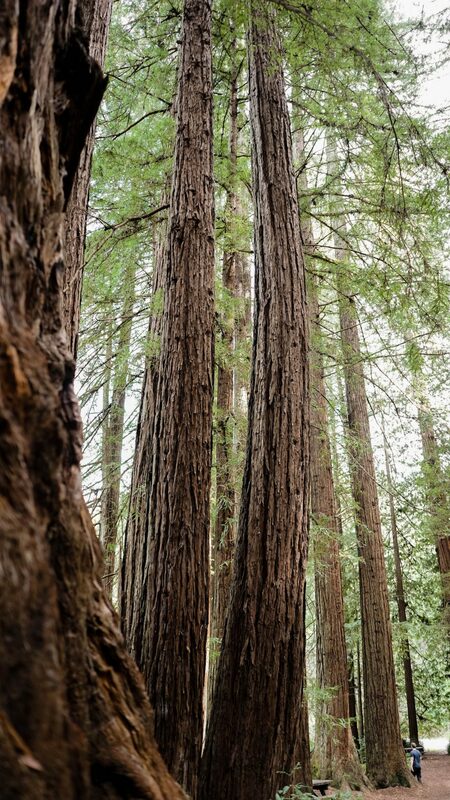 Towering trees, more than two hundred bird species and marble caves… if you enjoy being out in nature you’ll love this place. 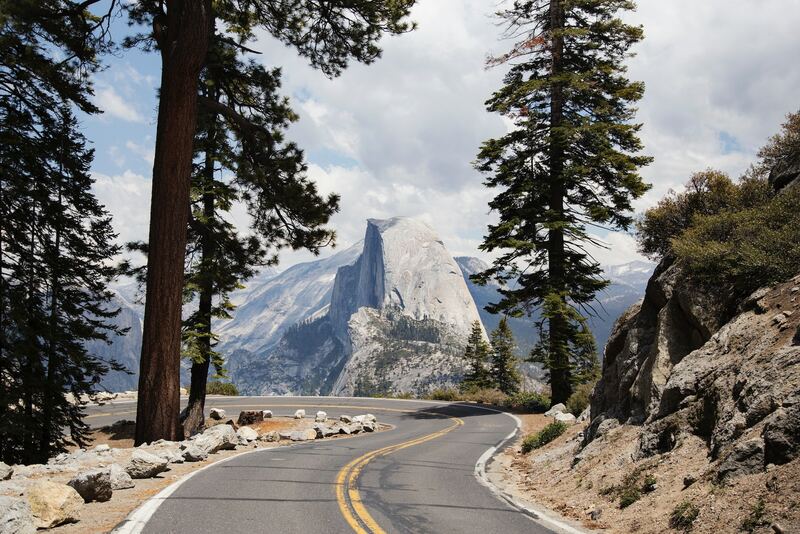 The national parks lie amidst the Sierra Nevada Mountain Range. One of the peaks, Mt Whitney, stands an impressive 14,491 feet tall, which makes it one of the biggest mountains in the United States. 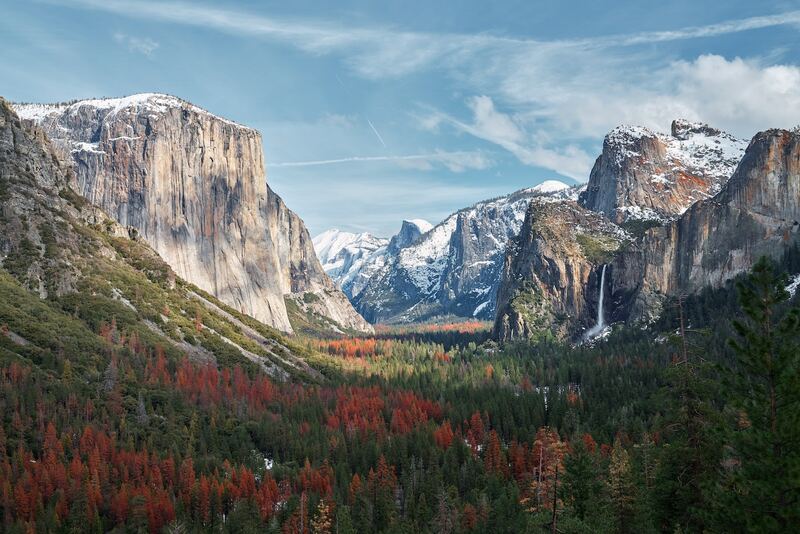 About 4 million people visit Yosemite National Park every year, so it’s not exactly a hidden gem. But don’t write it off just because you won’t be admiring it in solitude. If the stunning landscape isn’t enough to sway you maybe the park’s Hollywood credentials will – it was used as a filming location for Star Trek V, The Last of the Mohicans and Maverick. 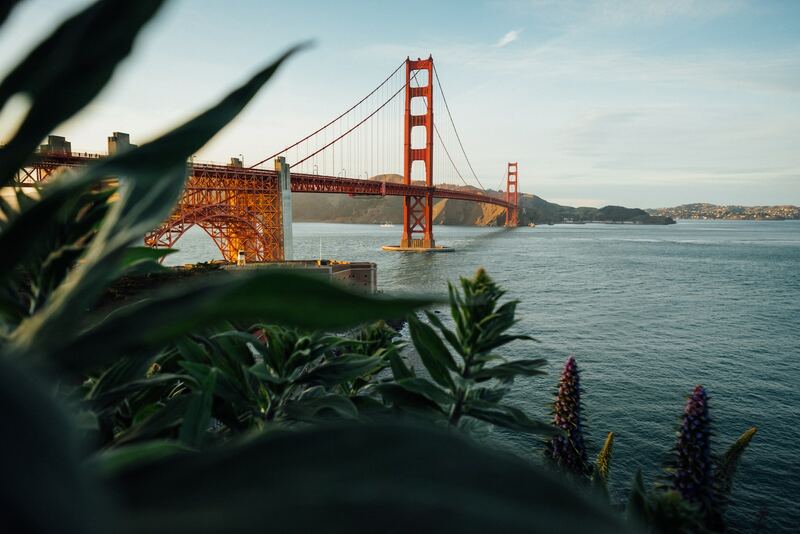 There’s a lot more to San Francisco than the iconic Golden Gate bridge and Alcatraz. Whether you want to get lost in an urban jungle or escape into nature, Planet of the Apes style, the city’s got your back. I’m particularly interested in the old school cable cars, Painted Ladies and hippie neighbourhood of Haight-Ashbury. Oh, and Silicon Valley! 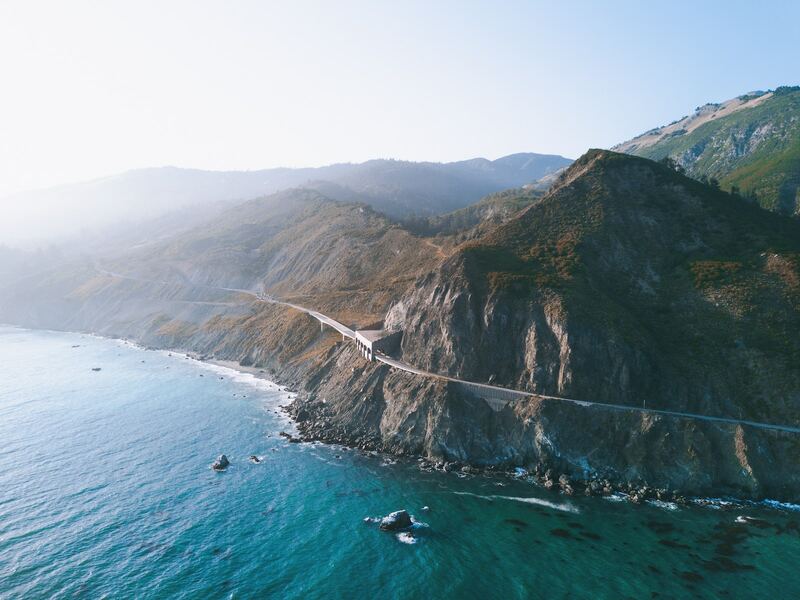 One of the most unforgettable drives – not just in the US but anywhere in the world – Big Sur should not be left off any California road trip itinerary. 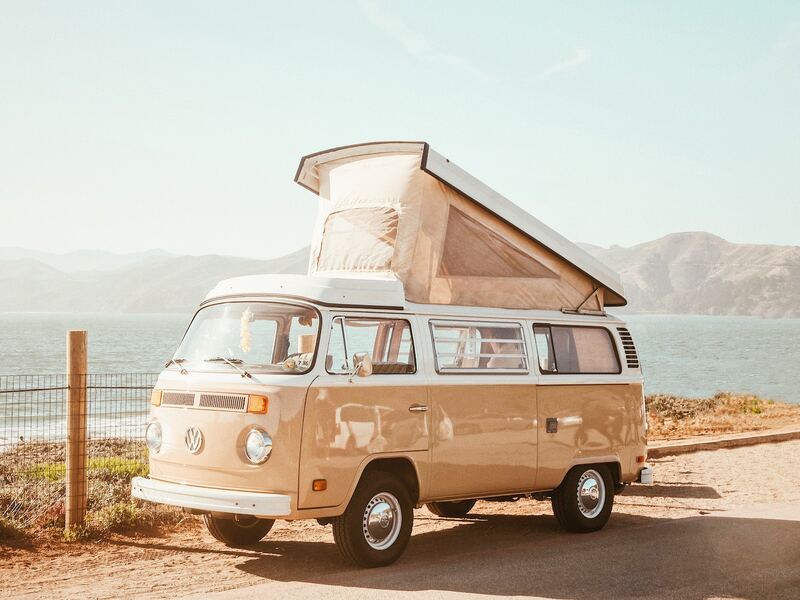 There are many places along the way I’d love to visit, including San Luis Obispo and the Barbie-doll-house Madonna Inn, Carmel-by-the-Sea and Hearst Castle. 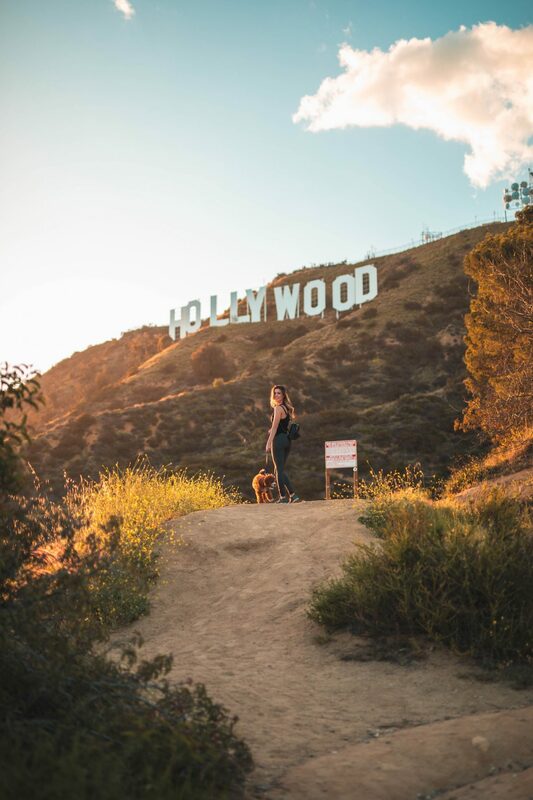 Whether you want to spot the rich and famous in Hollywood, play in the surf at Malibu or shop on Beverly Hills’ Rodeo Drive, there’s no place like LA. What I love about the City of Angels is its proximity to great hiking trails. The perfect way to end our nature-filled road trip around the Golden State! 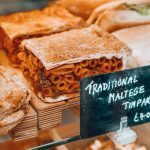 Win £200 With A Comment! I’ve shared my dream holiday – now I want to hear about yours! For a chance to win a £200 holiday voucher, all you have to do is comment below. 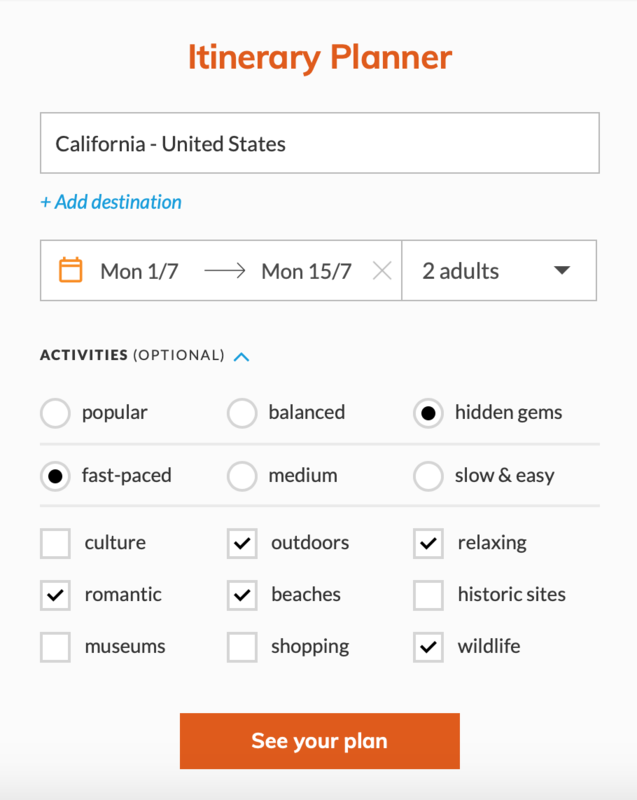 Just use the trip planner to put together a journey to your five favourite US destinations and tell me a little about it. You can also share this contest on social media using #WanderlustWish for some extra love. I’m accepting entries until November 5, 2018 at 23:59 UK time. Disclaimer: This post was brought to you in conjunction with VisitTheUSA but all thoughts are my own. 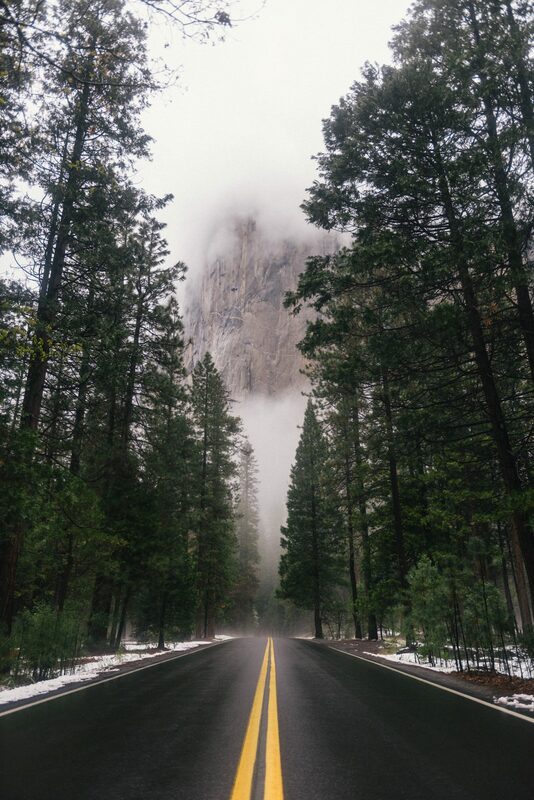 All images of California are royalty-free and courtesy of Unsplash.com.